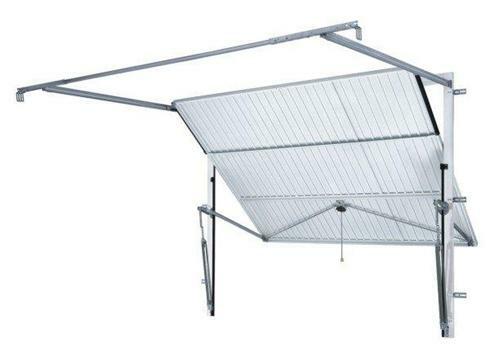 The canopy garage door uses the most common type of garage door mechanism, its name derives from the fully opened garage door panel protruding about a third forward of the sub frame to form a canopy. 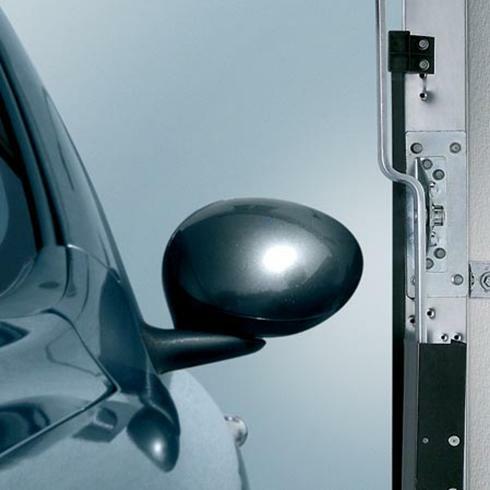 It gives maximum drive-through width when open and is the easiest to install. These must be fitted to a timber or Steel ‘goal post’ style frame. 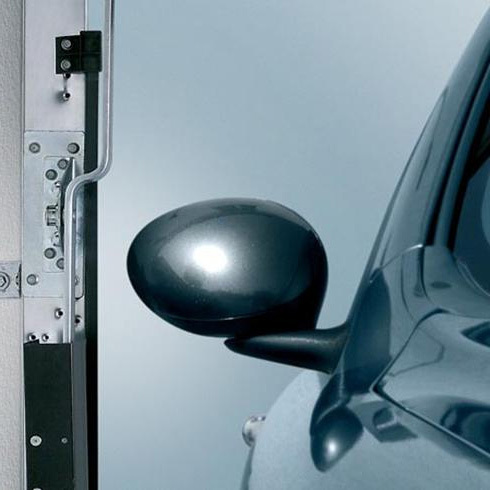 The door balance is achieved by a torsion spring positioned above the door panel on the head of the fixing frame lifting the door panel by a pair of cables attached to a roller either side of the door. automated although with the use of a 'bow arm converter' and quality operator this type of door can be automated successfully. Due to Euro legislation all currently UK manufactured canopy doors come with anti-drop mechanisms as standard fitment. 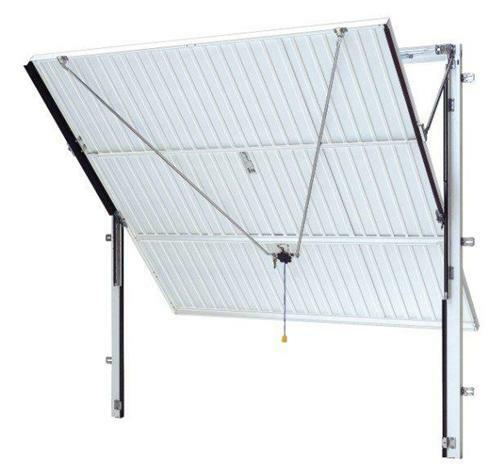 The retractable garage door has the most robust type of up and over garage door lifting mechanism, using multi-tension springs at the sides with steel lifting arms and horizontal steel tracks it can take much heavier loads, the ‘retractable’ name is derived from the garage door panel retracting almost fully into the garage when open.